view - all through one app. Get it Free now. 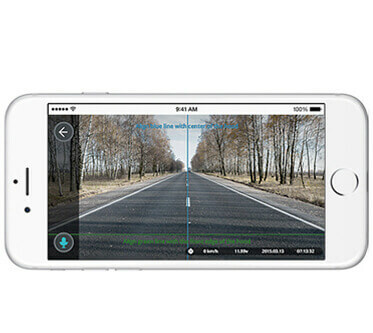 THINKWARE Dash Cam Mobile Viewer is your convenient go-to-app for easy access to your Thinkware Dash cam. Save the hassle of going back home to know what you have recorded, check them on your phone. Manage your Dash Cam with Wi-Fi, view video real-time and download or delete videos on your smartphone with this Mobile App today. preferences all through your smartphone. Now you can download all the video files you have recorded with your Thinkware Dash Cam to your smartphone right in your car, without having to take the microSD card out or plugging it to your computer. Are videos taking up space on your memory card? Free up space by removing videos that you do not need on in your dash cam by using your smartphone. Now you don’t have to wait till you are back home to clear spaces. Do it anytime, anywhere. 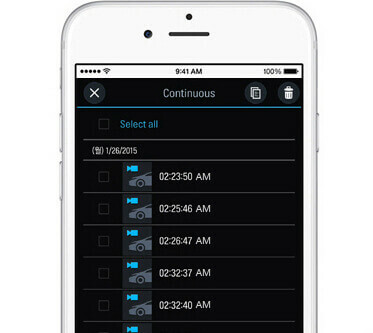 View live or playback recorded Dash Cam videos on your phone through the Thinkware Dashcam Mobile Viewer. Check out your last driving journeys. Replay road details you have missed. All from the convenience of your smartphone. Wi-Fi Protected Setup (WPS) makes it easy and convenient to add Thinkware Dash Cam to a wireless network without having to enter a network name and password. Access Wi-Fi within 2 minutes after the WPS of your Dash Cam has been activated. Conveniently update your dash cam on the go using your phone with the Thinkware Dashcam Mobile App — neither bulky computer nor cables needed. It’s the fastest, easiest way to upgrade your Dash Cam with the latest firmware for new features and optimal performance. Need help setting up your F800PRO?